The 3DS is one of the best consoles around, with a great library built up after more than seven years in circulation, but the system has also run into its fair share of technical hiccups over the years. There’s nothing worse than pulling out your system only to find it doesn’t work as expected, particularly when you aren’t sure how to fix Nintendo 3DS problems. Below, we’ve compiled a list of known technical issues 3DS owners have been dealing with, along with some steps you can take to fix or prevent them. Some of these only apply to a particular version of the system — the original 3DS’ design is substantially different than the New 3DS XL, for instance — while others are issues that occur across the entire 3DS family. Just like mobile phones and computers, the Nintendo 3DS can occasionally lock up completely. In that state, it will not register the buttons you’re pressing, including the power button. Luckily, there is a relatively simple fix for this should you have it occur. Hold down the system’s power button for ten seconds for a hard reset, which will shut the console down. You can then turn it back on as normal. Should you notice the console starting to freeze more often, Nintendo recommends updating to the latest system software. To do this, go to System settings and then select the Other settings option. Continue tapping the right arrow to scroll through the pages until you encounter System update, answer OK or I agree to all questions, and plug in your 3DS charger to assure that the console doesn’t lose battery power. If you are still encountering problems after updating the system, the problem could be with the game you’re playing. 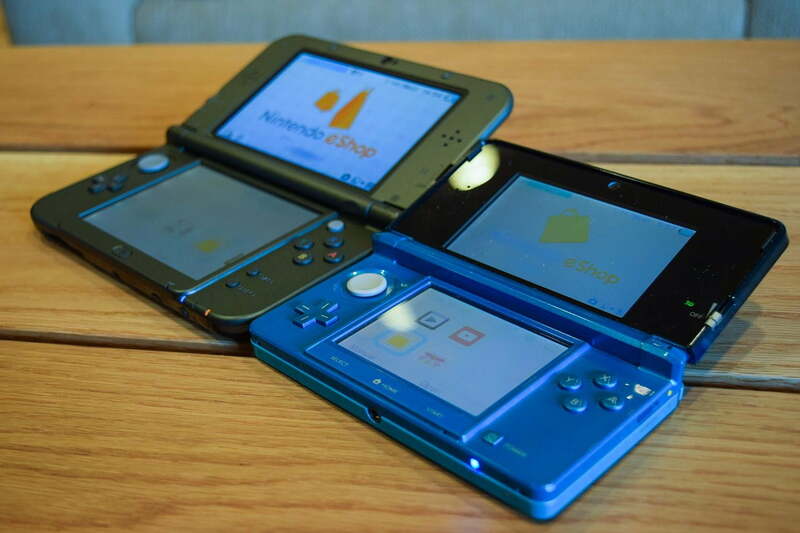 Check the eShop for any new updates and try using the Nintendo 3DS Download Repair Tool on the game in question. It can be found in the eShop under “history” and “redownloadable software.” Follow the on-screen instructions to repair the installed software. This will not erase any saved data you have on the 3DS. But if none of these solutions work, the problem may be hardware-related. Go through Nintendo’s online repair service and have them examine your 3DS and SD card. If you’re finding that your 3DS won’t “wake” from its Sleep mode, your issue is likely related to the unit’s battery not being charged enough. This can occur when you open your first-generation 3DS and the screen refuses to come back to life, or after pressing the “sleep” switch on the side of a 2DS system. Before you try any other troubleshooting, press the power button on your system to turn it off and on again. If the problems related to sleep mode are no longer occurring, you’re all good to go. If it won’t turn back on and the light on your system is blinking red, try plugging in the charger and letting it charge until the orange charging light goes out again. If it isn’t charging, continue to the “console isn’t charging properly” section below. If your battery is dying after a short period of use, the issue could be related to either your charger or the system itself. If you have a 3DS charging cradle, plug the cradle into an outlet and place your 3DS in it. If the system isn’t charging, Nintendo recommends sending in your console, AC adaptor, and charging cradle to be replaced. If you don’t have the cradle, try plugging the 3DS into your wall outlet using a different AC adaptor. If the console charges when using a different AC adaptor, your previous adaptor is faulty. Purchase a replacement unless your 3DS is less than a year old, in which case Nintendo can provided a replacement here. If you purchased the charger separately, it has a 90-day warranty. This is especially important if you recently purchased the New Nintendo 3DS, as it doesn’t come with a charger out of the box. Should your 3DS does not charge while using the second adapter, the problem is likely hardware related, and the console should be sent in for repair. The original 3DS was a remarkable piece of hardware when it launched in 2011 thanks to its glasses-free 3D technology, but its external design was also quite flawed. When you open the system after having it closed, you may notice vertical lines appearing on the far-left and far-right portions of the top screen. They’re particularly noticeable when the 3D effect is turned on. This is due to the bezel surrounding the bottom touch screen being slightly too raised, causing it to make contact with the top screen. Note: 3DS models since the original were modified to prevent this problem. Get a screen protector as soon as possible. Though the lines left on the top screen are usually just smudges caused by the oil on your hands, if you were to bump or drop the 3DS while it was closed, this could turn into a full-blown scratch that would require a more extensive repair. These screen protectors are quite simple to put on and usually leave a tiny amount of free space around the edges of both the top and bottom screen. Once you’ve placed both on your system, use the included plastic tool to move any bubbles to the edge and out of the protector. The kit we’ve linked to above also comes with a microfiber cleaning cloth. Keep it with your system in its case, as you’ll still have to wipe the vertical lines off of the protector when you’re ready to play. Should your system take a tumble, however, the risk of a permanent scratch is now much lower. 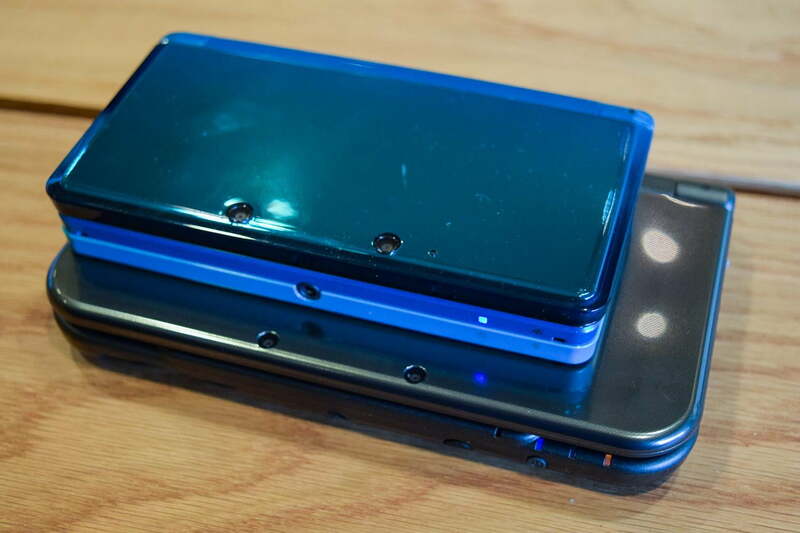 The 3DS’ weak point, across nearly every model, is sound quality. The console’s internal speakers are quiet, tinny, and generally a great incentive to buy a nice pair of headphones. If you’ve been using them in quiet environments, you may have also noticed a popping or crackling sound occurring. Nintendo’s solution to this is less than ideal. Try turning the volume up above 30% and see if the popping sound stops. If you can’t play the system at a high volume, your next step would be to use a pair of headphones — again, it’s not an ideal solution, but it’s a design flaw in the system itself. Should the popping problem occur even when you’re playing the 3DS at a high volume, there is likely a hardware defect in your system that should be repaired. Use Nintendo’s online repair service to send your system in. The Circle Pad on the left side of the 3DS isn’t the most resilient of components. Competitive Super Smash Bros. players can attest to its flimsiness, and it’s capable of breaking off entirely, which would require a more extensive repair. However, if your Circle Pad isn’t acting like it should be, you may be able to fix the problem by simply recalibrating it. Recalibrating your Circle Pad is quite easy. Go to Settings and then Other on your 3DS, and scroll through the menus until you spot Circle Pad. Follow the on-screen instructions, rotating and moving the Circle Pad as directed. If this doesn’t solve your problem, your issue is likely hardware-related. This will require a more extensive repair, and you should contact Nintendo through its online repair service to get the ball rolling. Before you send your 3DS in to be repaired by Nintendo, you might want to consider repairing the system yourself. This fix may violate your system warranty, though technically it does not require any disassembly. Flatten out a small piece of polymer clay until it is the same size as the original Circle Pad. Press it on top of the small nub left from the original Circle Pad and ensure that it can still move in all directions. Score the indentation that has formed on the clay with a knife or toothpick, then throw the clay in your oven following the package’s instructions. Using a tiny amount of super glue — don’t use Gorilla Glue, as it can expand and mess with the system’s internals — place the replacement Circle Pad on your 3DS. Let your system rest in the open position for a day. You’ll then have a new Circle Pad, fully functional and ready for use! For a more detailed visual explanation, you can watch the full process on a 3DS XL here. If this solution doesn’t float your boat, you’ll have to send your system in for repair. The touch screen on the 3DS is used extensively in the system’s games, but it can be quite a bit more finicky than the screens on iOS devices or even the PlayStation Vita. This is largely due to the system using a “resistive” screen that uses pressure and not electric conduction to function. If you’re using your finger to use the 3DS touch screen, try using a stylus instead. Its smaller point will increase the pressure on the screen, which should cause your inputs to register much more clearly. Press harder. The 3DS screen must be pressed quite a bit harder than most contemporary touch screens for it to register your inputs, particularly if you’re “sliding” the stylus instead of tapping with it. If neither of these steps solves your problems, go to the system settings and select Other settings and Touch screen. Follow the on-screen instructions, tapping the various points on the screen as they appear. Nintendo also recommends that you check for stuck buttons, as this can affect the touch screen’s performance. If you have a screen protector on your touch screen, you can also try removing it and see if this solves the issue, though we recommend getting a replacement protector as soon as possible. Should none of the above steps solve your problem, your touch screen likely has to be repaired. Follow the steps on Nintendo’s online repair site to send your system in. 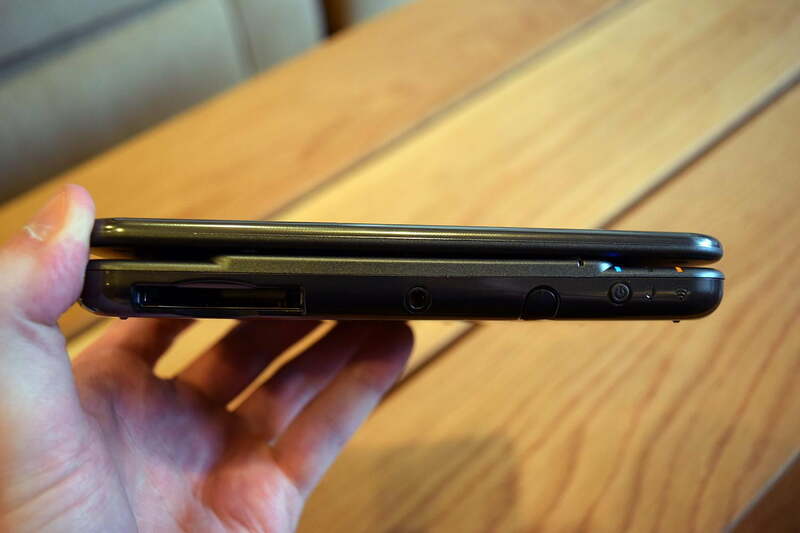 If you’re using one of the original 3DS models, you might notice that the console’s hinge continues to move quite a bit even after it “clicks” into place. This is in contrast to the very stiff hinge seen on the original DS, and unfortunately, it isn’t something that can actually be fixed. Note: Models after than the original 3DS have largely rectified this issue. Unfortunately the best solution, as inconvenient as it sounds, is to upgrade to a newer 3DS model, such as the 3DS XL or the New Nintendo 3DS. These feature much tighter hinges that won’t be flopping around when you play while lying on your bed or couch. Want to save a little money? The 2DS is also a great option. Though it doesn’t feature a 3D display, it also doesn’t feature a hinge at all! Since the introduction of the more powerful “New Nintendo 3DS,” Nintendo has released several games that can technically run on both systems, but do not run well on older 3DS models. Below is a list of these games, with descriptions of what to expect if you’re playing them on a older system. Hyrule Warriors Legends: This game suffers from significant frame rate drops that make it a much less enjoyable experience on older 3DS systems. We don’t recommend buying it if you don’t own a New 3DS. Code Name: S.T.E.A.M. : Enemy turns in this strategy game typically take an absurdly long time, but an update enables you to fast-forward these. On a New 3DS, enemy turn can be sped up to be three times faster. On an original 3DS, they can only be fast-forwarded to be two times faster. 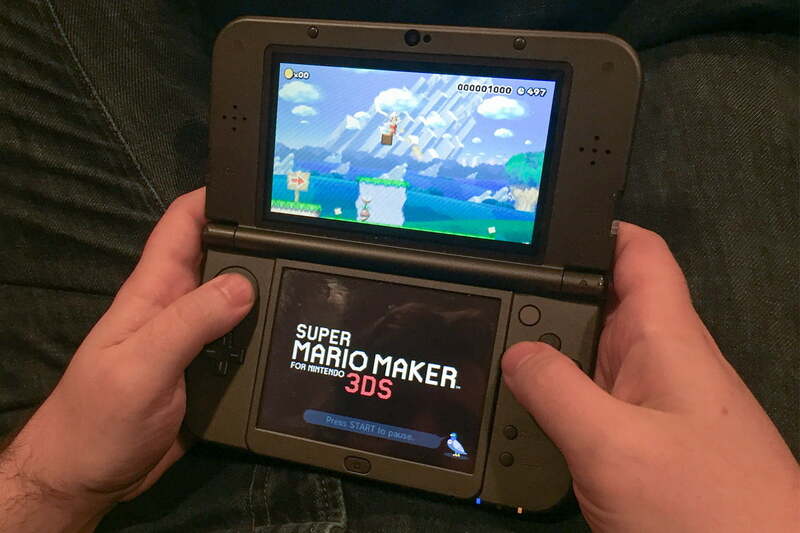 Super Mario Maker for Nintendo 3DS: Some users have reported slowdown when running the game on an older 3DS, but the performance difference isn’t particularly noticeable.